In an age where blowout bars line every corner, gel manicures are a weekly staple, and looking polished is a way of life, it’s still surprisingly difficult to maintain a consistent beauty routine. This is partially because the process of finding a trustworthy salon — and then actually booking a service — can be draining. Some online platforms have facilitated easier booking for food — but until recently, there was a gap in the market for a similar beauty-centric service. Broad as Regi’s offerings may be, they’re also ultra-curated. Each beauty service provider is handpicked and carefully vetted by a team of in-house beauty buffs. In order to make the cut, providers must pass the platform’s stringent standards. So: not only will you discover the best spots your city has to offer, but you’ll also save yourself the grief of accidentally going to an unqualified place. Then there’s Regi’s Personal Concierge™ feature — which, yes, is just as luxurious as it sounds. Long gone are the days of clicking through calendars, playing telephone tag, or otherwise dealing with the hassle of setting up an appointment. Instead, Regi allows you to hand off busywork to a concierge, who will happily do it all for you — including scheduling, booking, and processing payments. Offloading the aforementioned drudgeries allows you to schedule beauty treatments without stepping out to take a call, waiting on hold, or hemming and hawing over your calendar. Plus, the concept of booking a blowout over brunch, a massage during a stressful work meeting, or a manicure while you’re at the gym is an absolute game-changer. From facials to makeup to lashes, this beauty hub has everything you need to look your best before a special occasion. This trendy hair salon not only provides fresh colors and cuts, but it also has an entire room dedicated to taking selfies of your new ‘do. The zen vibes are palpable at this understated manicure spot, which only uses polishes that pass clean beauty testing. Our editorial director can’t get enough of the glow-boosting benefits from this infrared sauna spot. Read more about it here. You’ve probably seen this quirky manicure, massage, and coffee spot on Instagram. It’s certainly worth an in-person visit. Pressed for time? Get a manicure and a blowout in a single, 50-minute session. This all-encompassing spa offers treatments fit for royalty. 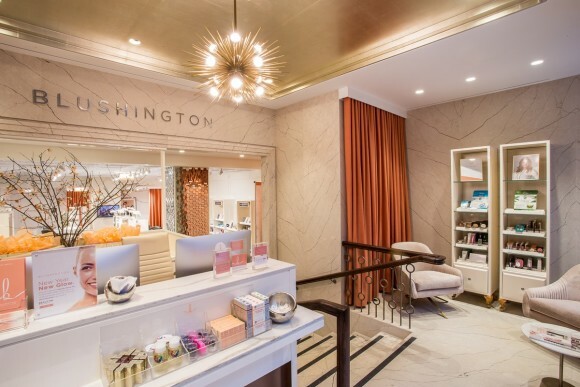 This spot is ideal for clean beauty buffs, skincare aficionados, or anyone who’s craving a facial with a side of zen. 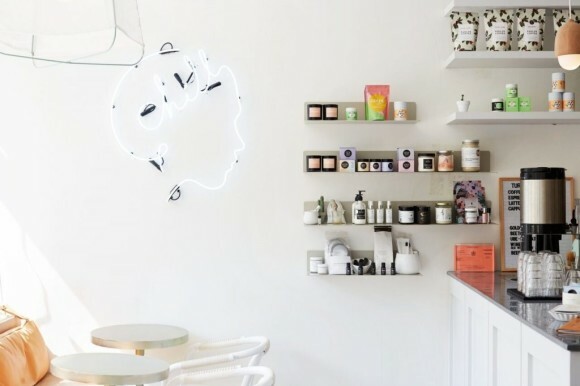 This breezy, picture-perfect manicure spot oozes quintessential LA vibes. Clean beauty fans will love the smattering of plant-based nail care products and 8-free polishes. From infrared saunas to cryofacials, this spot allows you to dip your toes into a bevy of buzzy wellness treatments. Regi™ and Spotlyte™ are owned by Allergan as part of the company’s Moonwalker™ Ventures division.